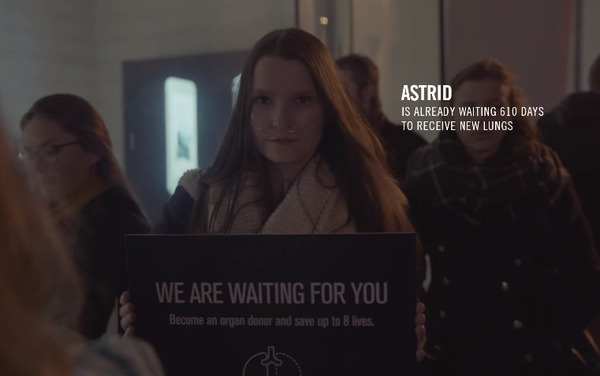 The organisation invited people who were waiting to receive a vital organ via donation to talk to those waiting for the Apple Store in Brussels to open its doors. The film features people who’ve been waiting for months, sometimes even years, for a donated organ talking to people who’ve been waiting up to two days to visit the new Apple store. Those waiting for new organs presented those queuing with an interesting exchange: the patients would take the place of the people queuing in line if they registered then and there to be an organ donor. Read the insights of the Contagious I/0 team.